People aged between 45 to 65 years of age are affected more in the state. Six people who tested positive for swine flu have been admitted at Gandhi hospital currently, while 6 more are suspected to have swine flu. Two more people have lost their lives in Hyderabad’s Gandhi Hospital recently. The occurrence of swine flu is gaining momentum and taking the death toll to nine. This year since August the death toll is increasing. On Tuesday, the doctor said that a 65-year-old man from Karmanghat and a 46-year-old woman from Kamareddy area surrendered to the virus. These 2 patients were admitted to the hospital for the last 4 days. Since the beginning of October, the Swine flu ward at the hospital has been filled to the capacity. Across the state, nearly around 16 to 17 cases of the H1N1 virus are being confirmed per day. And until January 2019, the H1N1 virus is likely to be strong. According to the Times Now report, Shravan Kumar, Superintendent of Gandhi Hospital reportedly said that out of the 43 who tested positive 9 people have died so far. People aged between 45 to 65 years of age are affected more in the state. Six people who tested positive for swine flu have been admitted at Gandhi hospital currently, while 6 more are suspected to have swine flu. Reportedly, Kumar further said a disaster ward has been arranged specially for swine flu cases, comprising 20 beds and 10 ventilators reserved for swine flu patients. However, pharmacology department doctors are taking care of swine flu patients in Gandhi Hospital. In the wake of the sudden rise in swine flu cases in the city, doctors have advised locals to carry face masks and maintain hygiene. Individuals have also been advised to maintain some distance while in proximity to patients. 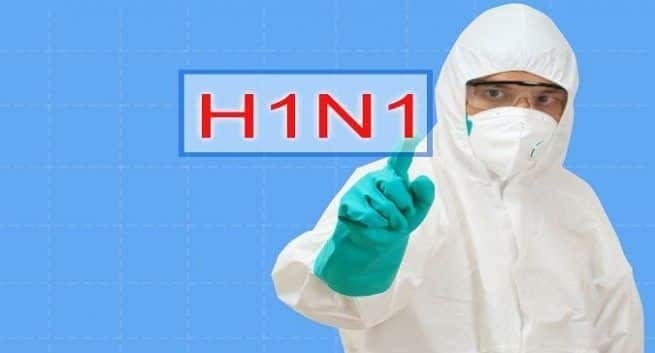 Swine flu is an infection caused by one of the several Swine Influenza Viruses (SIV), with the H1N1 strain being the most common across the country, particularly in Telangana. The H1N1 virus spreads when an individual touched an infected or breathes droplets of coughs and sneezes that are in the air. The symptoms are the same as the seasonal flu, also known as the viral fever. This includes a cough, sore throat, and body ache. Since August this year, out of 480 swine flu cases, 215 are from Hyderabad, 80 from the city fringes of Medchal and 82 from Ranga Reddy.